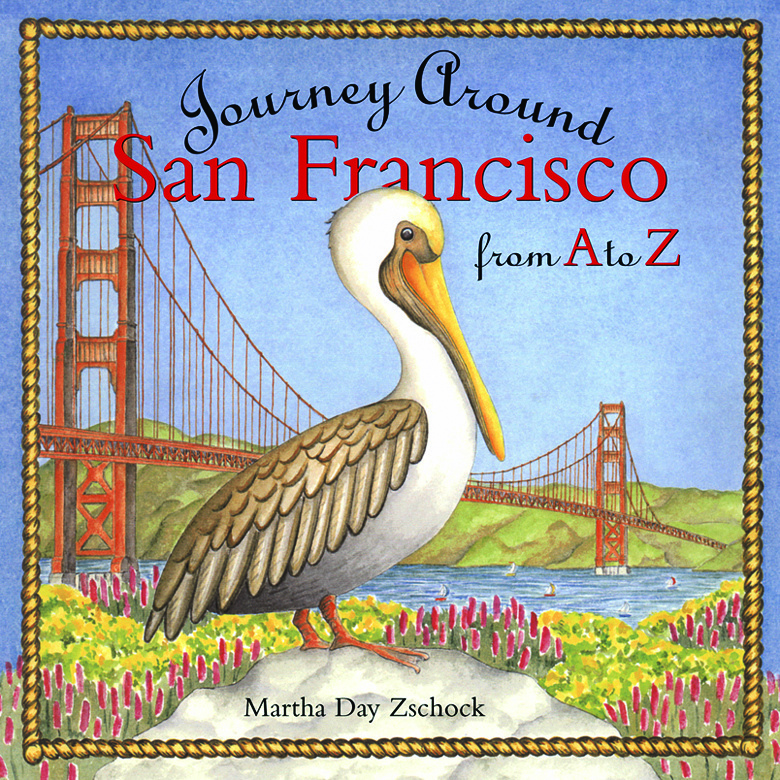 Journey Around San Francisco from A to Z takes readers on a beautifully illustrated tour of the City by the Bay. Hop aboard a cable car and zip up and down steep hills with a friendly pelican as your guide. Visit Alcatraz, Fisherman’s Wharf, Muir Woods, and the San Francisco Zoo. Learn about the early settlement of San Francisco, the Gold Rush and the earthquake of 1906. With interesting nuggets of information on each page, children and adults will become instant experts on one of the world’s most enchanting and exciting cities... Bon voyage! EVERY BOOK IS A JOURNEY! SEE BELOW FOR PICTURES FROM MY RESEARCH TRIPS TO San Francisco! © 2014 MARTHA DAY ZSCHOCK. ALL RIGHTS RESERVED.